Sorentos are roomy and versatile SUVs. They are great for families, trips, or handling those transporting whatever jobs. This 2019 Sorento comes with all wheel drive to help you get through those difficult conditions or taking off the paved road. It has heated front seats, duel zone A/C, 3rd row seating, hands free calling, and more to enhance your driving experience. George Gee Cadillac Kia's mission is to ensure all our customers have a positive auto buying experience and are completely satisfied with their new vehicle. Thanks for checking out our vehicle online. Please come and visit us at 317 West Dalton Ave, Coeur d'Alene, ID or give us a call at (208) 667-7416. - Free Lifetime Warranty is valid only on New and Used Vehicles with less than 100,000 miles and 5 Years Old or Newer. Valid exclusively at George Gee Cadillac Gee Coeur d'Alene See dealer for full details and exclusions. Visit us today to take a test drive in the new and improved 2019 Kia Sorento. Conquer any rainy, snowy, or icy road conditions this winter with the all wheel drive system on this vehicle. Also beat the winter conditions with heated seats, and a heated steering wheel. This 2019 Sorento is a great family car as it comes with third row seating and plenty of room in the trunk and second row as well. Along with a great winter driving experience, this vehicle also has a panoramic sunroof and ventilated seats for plenty of exciting driving in the summer as well. Please come and visit us at 317 West Dalton Ave, Coeur d'Alene, ID or give us a call at (208)667-7416. - Free Lifetime Warranty is valid only on New and Used Vehicles with less than 100,000 miles and 5 Years Old or Newer. Valid exclusively at George Gee Cadillac Gee Coeur d'Alene See dealer for full details and exclusions. Visit us today to take a test drive in the new and improved 2019 Kia Sorento. Conquer any rainy, snowy, or icy road conditions this winter with the all wheel drive system on this vehicle. Also beat the winter conditions with heated seats. This 2019 Sorento is a great family car as it comes with third row seating and plenty of room in the trunk and second row as well. Please come and visit us at 317 West Dalton Ave, Coeur d'Alene, ID or give us a call at (208)667-7416. - Free Lifetime Warranty is valid only on New and Used Vehicles with less than 100,000 miles and 5 Years Old or Newer. Valid exclusively at George Gee Cadillac Gee Coeur d'Alene See dealer for full details and exclusions. Visit us today to take a test drive in this 2018 Kia Sorento. Conquer any rainy, snowy, or icy road conditions this winter with the all wheel drive system on this vehicle. Also, beat the winter conditions with heated leather seats. This 2018 Sorento is a great family car as it comes with third-row seating and plenty of room in the trunk and second row as well. Along with a great winter driving experience, this vehicle also has a panoramic sunroof. Please come and visit us at 317 West Dalton Ave, Coeur d'Alene, ID or give us a call at (208)667-7416. - Free Lifetime Warranty is valid only on New and Used Vehicles with less than 100,000 miles and 5 Years Old or Newer. Valid exclusively at George Gee Cadillac Gee Coeur d'Alene See dealer for full details and exclusions. Visit us today to take a test drive in the new and improved 2019 Kia Sorento. Conquer any rainy, snowy, or icy road conditions this winter with the all wheel drive system on this vehicle. Also, beat the winter conditions with heated seats. This 2019 Sorento is a great family car as it comes with third-row seating and plenty of room in the trunk and second row as well. Along with a great winter driving experience, for plenty of exciting driving in the summer as well. Please come and visit us at 317 West Dalton Ave, Coeur d'Alene, ID or give us a call at (208)667-7416. - Free Lifetime Warranty is valid only on New and Used Vehicles with less than 100,000 miles and 5 Years Old or Newer. Valid exclusively at George Gee Cadillac Gee Coeur d'Alene See dealer for full details and exclusions. It comes standard with numerous top of the line safety features. With having reputation for being one of the most dependable vehicles on the road,this model won't let you down. This small suv will have plenty of room to safely transport your kids to the next ballgame or family outing. - Free Lifetime Warranty is valid only on New and Used Vehicles with less than 100,000 miles and 5 Years Old or Newer. Valid exclusively at George Gee Cadillac Gee Coeur d'Alene See dealer for full details and exclusions. 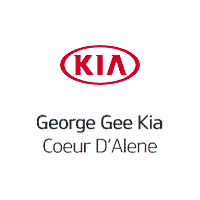 Our experienced George Gee Cadillac Kia team is excited to assist you in your next vehicle purchase. Welcome to the best source for online deals. This 2019 Sorento EX V6 comes equipped with 3rd row seating for the whole family and navigation for those long family road trips. This vehicle also comes with, a backup camera, leather power seats, heated seats, heated steering wheel, dual climate controls, and a panoramic sunroof! For all the features, please come and visit us at 317 West Dalton Ave, Coeur d'Alene, ID or give us a call at (208)667-7416. - Free Lifetime Warranty is valid only on New and Used Vehicles with less than 100,000 miles and 5 Years Old or Newer. Valid exclusively at George Gee Cadillac Gee Coeur d'Alene See dealer for full details and exclusions.